It wasn’t the usual rush to get to the plane; I was there ahead of time and there was a delay to board. The crew was running late due to car trouble, we were told. I was in Boston for a sports medicine meeting for a few days and now — on the night of January 17 — headed back home to Portland with six hours of travel ahead. I was eager to get on the plane and snooze away for the duration of the trip like usual. But this wasn’t going to be a normal flight. The last thing I expected was to hear a jostling in the back of the plane and then a woman saying something is wrong. I jumped out of my seat and headed back to help. I noticed a man shaking and looking like he was having a seizure. My first impression was not to overreact and let the seizure course through. But as I sat down next to him to talk with him, I had a feeling that this was more than a seizure. Although the symptoms stopped for about 30 seconds, they then got worse. He became less responsive. I positioned him to lie down across the airplane row’s three seats and checked his pulse, which was rapid and weak. I thought to myself, “You can’t forget that 60 percent of sudden cardiac death events have seizure activity as well.” I asked for the AED (automated external defibrillator) that was fortunately stowed very near us on the plane and an emergency kit and asked someone to call 911. Just as I laid him down across the seats, he turned blue and had no pulse. The situation did not look good. It was time for CPR, and just at that moment another doctor and nurse practitioner came to assist, confirmed he had no pulse and that he was not breathing. He was dying before us and we had to do something fast. I shouted to the other doctor to start CPR and the nurse practitioner placed the AED pads on him while I kept his airway open and shouted directions to the team. I looked around and everyone on the plane was staring at us with looks of shock on their faces. The three of us looked at each other and I think we all felt this may not end well. But we were doing all the right stuff and I felt a renewed hope to press forward. By this point we had been doing CPR for about a minute without any response from him. I told the team to continue CPR, get ready to analyze the rhythm and prepare to shock if needed, as if following a script. We stopped CPR long enough to see that he was in ventricular fibrillation — which is a deadly irregular heart rhythm— and that he needed a shock. And in fact the machine told us that exactly. Just as we were ready to shock him, we realized that the three of us and his wife were all too close to him and the seat he was on. We yelled for everyone to stand clear and had to rapidly move his wife out of the way from between the seats. We all stood back: The last thing you want to do when shocking someone is to create another casualty by shocking someone who is either touching the person being shocked or the bed they are on. We shocked him and … it worked! His heart rhythm returned to normal and he woke up, stunned, wondering what he was doing lying down and why we were all standing over him. “I’m Marv,” he said, very matter of fact. I explained to Marv that he’d had a cardiac arrest and we just shocked him back to life with the AED. We reassured him he was looking good and he would be going to the hospital as soon as the paramedics arrived. We quickly helped him chew and swallow an aspirin to help clear any clots in his heart that could have been causing the deadly rhythm. Every second counts in cardiac arrest. We hardly had time to say goodbye but I quickly wrote down my phone number and gave to it to his wife, asking that she please let us know how he recovers. As the paramedics took him away, the three of us looked at each other and smiled and gave high fives and embraced. The passengers on the plane erupted in cheers and clapping. They had experienced a miracle. They had lived through the trauma of the moment and now felt the victory as his life was saved. They were calling us heroes, but to me I did what I was trained to do and had practiced. No one should be called a hero for doing what we’re trained to do. I lecture on preventing and treating sudden cardiac death so I should be able to practice what I teach. I’m just glad I was there to help, that others came to help and that the AED was right there where we could use it. CPR is essential in cardiac arrest. Start it as soon as you find someone who is unresponsive and without a pulse. It’s easier now that you only have to start with chest compressions (recent medical recommendations say that CPR with chest compression alone ensures that CPR can be started more quickly and gives the patient a better chance of surviving). But AEDs are what really saves lives. That’s why Marv was lucky that the airline had the AED on its plane. And that’s why many people are lucky that AEDs are in shopping malls and schools and various public places across the nation. 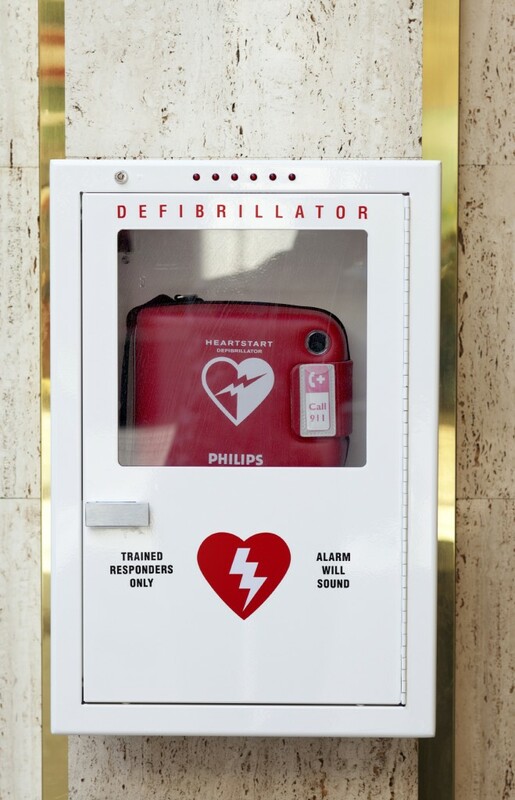 But AEDs are not available in many places — and every minute without treatment affects survival after cardiac arrest. 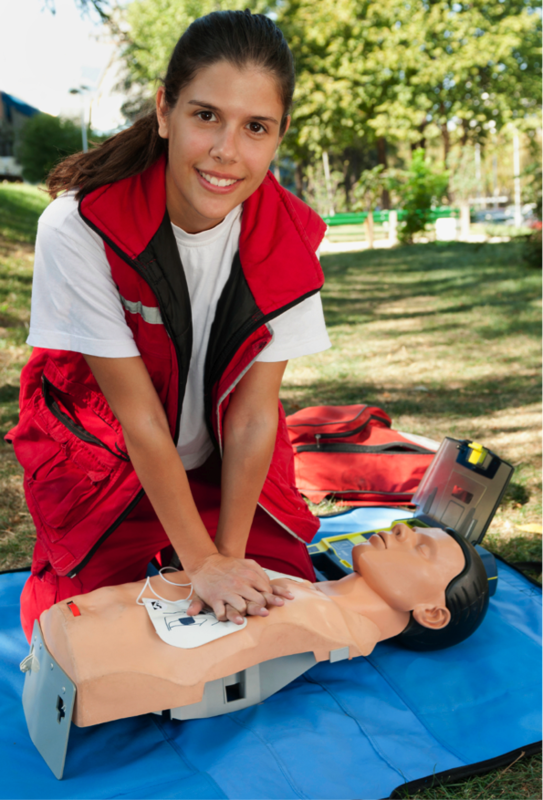 If CPR is started within one minute and an AED is used within three minutes, survival is the highest. We were lucky that everything was there when and where we needed it to save Marv’s life. In order to save more lives, we need to find a way to train more people in CPR and make AEDs more available. It’s a good feeling to save a life. I’m glad I was trained for it and that I was there at the right time and place to help. Be ready when it’s your turn. Prepare yourself to save a life — be charged (trained) and ready to go! Anne Bell-Fysh is OHSU's social media specialist. 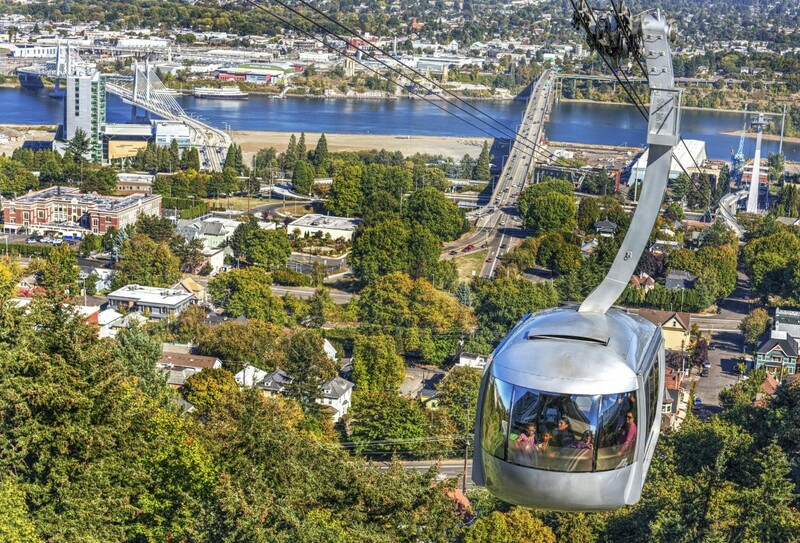 You can connect with her via email at socialmedia@ohsu.edu.